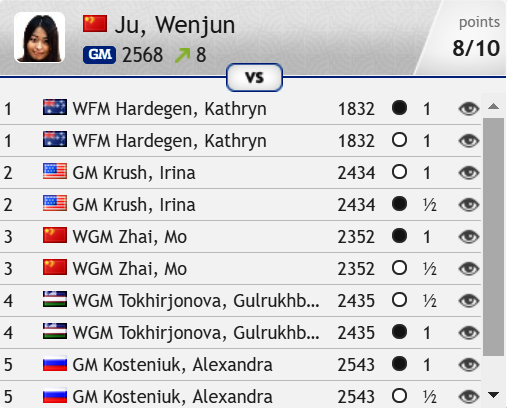 There are few things harder in chess than defending a World Championship title in a big knockout, but current Chinese Women’s World Champion Ju Wenjun has now earned herself a 4-game match to retain her title after beating Alexandra Kosteniuk in the semi-final. Her opponent will be Russian no. 1 and world no. 4 Kateryna Lagno, who will be hoping to claim the title for the first time after overcoming Mariya Muzychuk. 18…Nxa6! 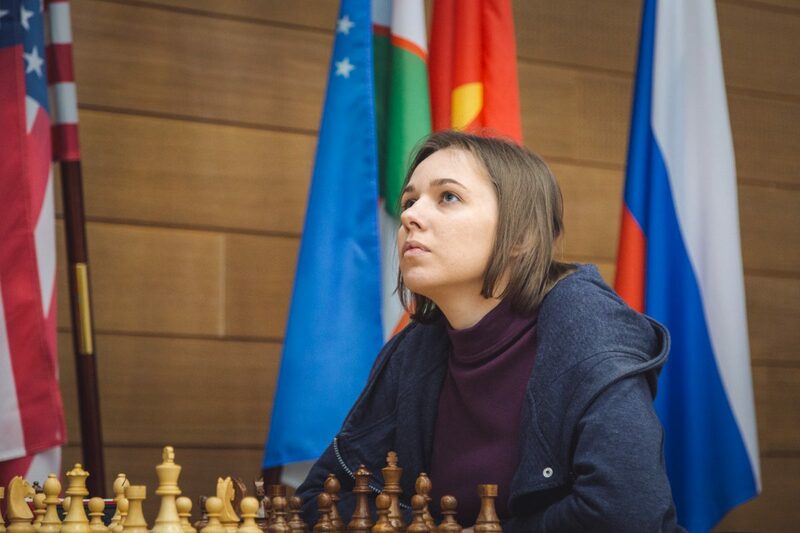 obviously came as an unpleasant surprise to the Russian player, as she sank into a 27-minute think afterwards. The tactical basis of the move is 19.Rxa6 Qb7!, with the double threat of mate on g2 and taking the rook. The computer, however, actually gives this as clearly the best way to play, due to the clever 20.Nc6! !, but you can only play that way if you’ve foreseen some very sharp tactics. Instead Kosteniuk just decided to play on a pawn down with 19.Be3! ?, and although Ju Wenjun didn’t go for the most forceful variations she did eventually convert the extra pawn in a 77-move game. The second game was similar. 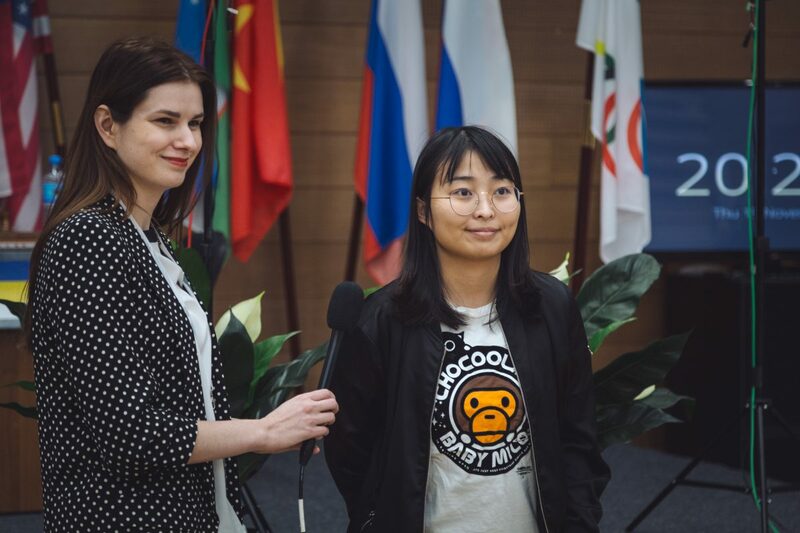 Ju Wenjun went for a Maroczy bind structure with pawns on c4 and e4 and despite building up a winning position she took the pragmatic decision to remain absolutely solid and claim the draw she needed to reach the final. 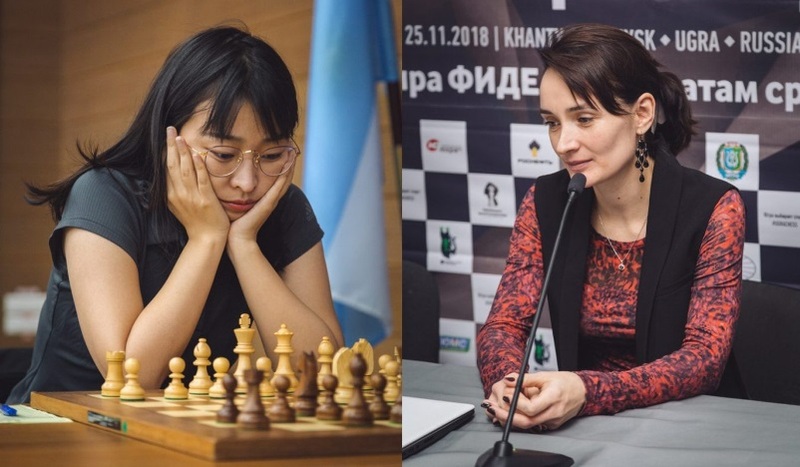 The other semi-final pitted another former Women’s World Champion, Mariya Muzychuk, against the only player in the semi-finals not to have won the title yet, Kateryna Lagno. In the classical games the first was a quick draw, while in the second Kateryna was pressing with White but couldn’t break through in 53 moves. Of course it can’t be captured without allowing the e-pawn to queen. In the return game Mariya tried to push for a win in an Anti-Berlin, but 18.Nh2? overlooked the power of 18…Na4! One threat is 19…Nxb2! 20.Kxb2 Ba3+ and a quick mate, and while 19.hxg5 defended against that (19…Nxb2? 20.gxf6!) 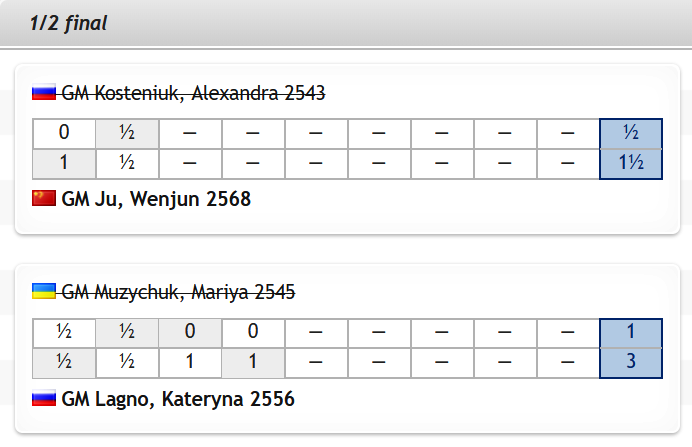 Kateryna followed up with 19…Bd4! and there’s no way to stop the white queenside getting blown apart. Mariya decided to flee with her king (20.Kd2), but there was no salvation and she resigned five moves later. Sunday is the one rest day of the whole tournament, before the players now face a longer 4-game classical match before potential tiebreaks. 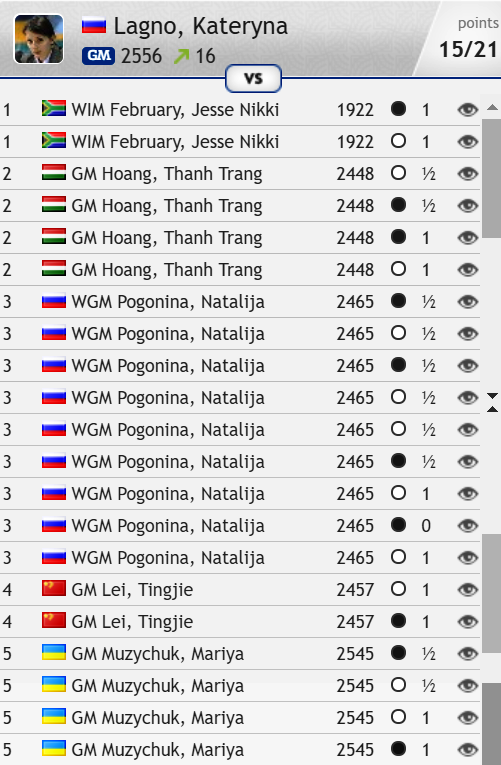 At stake will be Ju Wenjun’s Women’s World Championship title, but also the difference between taking $60,000 for first place or $30,000 as the runner-up. 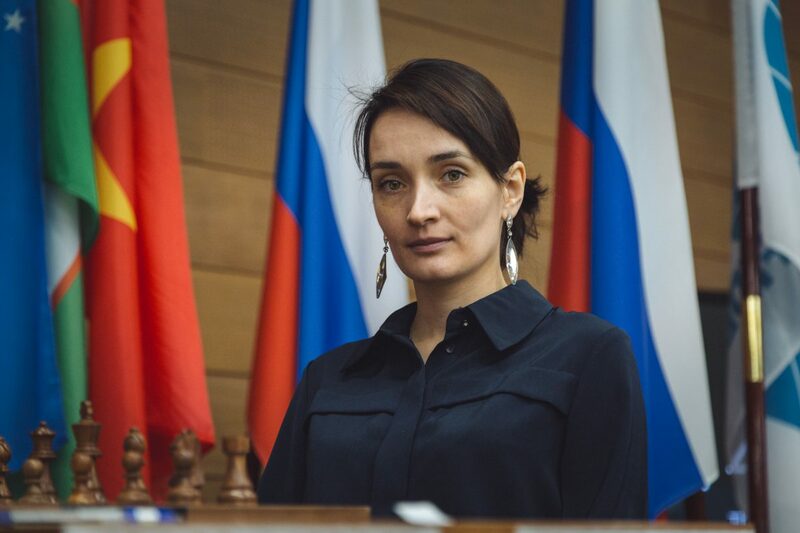 Kateryna Lagno, meanwhile, has played more than double the games and shown her fighting spirit by getting through the only Armageddon game of the whole tournament. 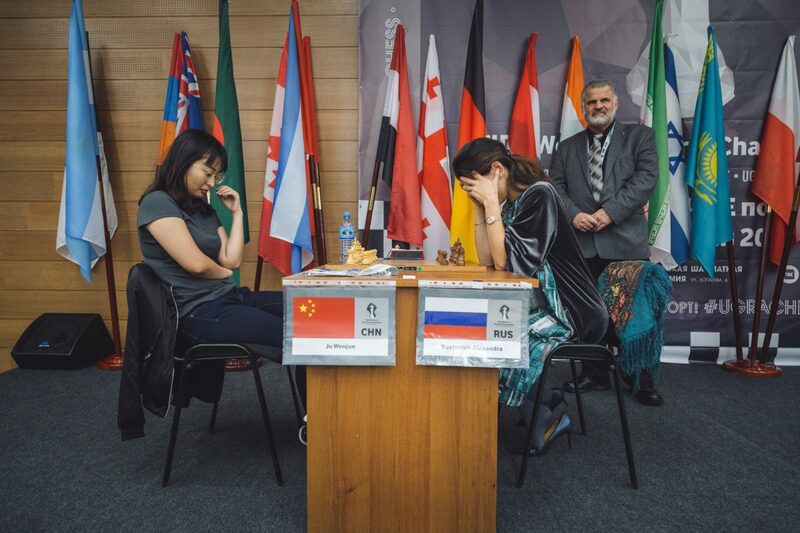 Her motivation may also be slightly higher, since she has the chance to become World Champion for the first time, while Ju Wenjun has already achieved the highest goal in women’s chess. It’s going to be a match you won’t want to miss, with the games again live from 11:00 CET on Monday onwards here on chess24.